UCi2i, the global video conferencing managed services provider, is launching "Video Ready," an all-in-one video calling and conferencing solution to provide businesses with an affordable, smart way to conduct business-quality, B2B, hassle-free video calling inside and outside of their organisation. The solution is being launched in partnership with Cisco Capital Finance and Comstor, Westcon Group's Cisco-dedicated business unit. London, United Kingdom, March 26, 2013 -- The service bundle includes choice of video endpoint, a three-year maintenance and support contract and UCi2i "Connect" video managed services plan, delivered with a fixed-priced, unlimited monthly subscription. Video Ready requires no on-site infrastructure, management, support or expertise - meaning significant cost reductions for companies requiring an affordable and reliable path to unrestricted, pervasive video collaboration. Video Ready is delivered by UCi2i's global video platform, hosted within secure data centres and providing full cloud services - giving customers fail-safe, on-demand, secure and reliable video communications. The Virtual Meeting Room options available with Video Ready are video endpoint-independent, so your ability to video conference stays with you as a person, and you can access it from any standards based video device, wherever you are, whenever you want. With Video Ready there's no need for call scheduling and it provides a resource whose usage can be measured, where the cost becomes predictable and the calling capability extends beyond the organisation itself. Michael Grant, Founder and Managing Director of UCi2i said: "Businesses want the assurance that if they invest in video communications, the user experience is managed, measurable and sustainable. UCi2i's exists to make this simple, affordable and for everyone. This means being able to make and take video calls just like you would a phone call, whenever you want and wherever you are. And that's being Video Ready." Bj�rn Skeens, Group Commercial Director at UCi2i adds, "Since emerging as a nice to have, but somewhat unreliable, technology in the 1980s, video conferencing has come a long way. It has now got to the stage where businesses are either using it, planning it, or want it but can't have it because of a lack of budget or the in-house skills to manage it effectively. There's never really been the mechanism to be a mainstream, accessible anywhere, important part of the normal business processes, that is, until now. 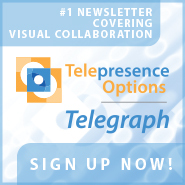 Video Ready makes video communications affordable for businesses of all sizes." "In today's challenging economic environment, businesses demand new ways to make collaboration easier and less expensive. For some time, UCi2i and Cisco have been at the forefront of video collaboration," said Andreas Dohmen, Executive Vice President EMEA, Comstor. "Fully supported by Comstor's market-leading technology expertise, Video Ready is the perfect answer for those wanting to leverage video collaboration, but don't have the technology expertise or deep financial resources to make it happen." "Cisco has steadily built a global reputation as one of the top providers of telepresence and communications platforms in the market today. Our technology helps customers around the world communicate more effectively and efficiently," said Philip Wright, director, partner operations sales EMEAR, Cisco. "By combining our expertise with UCi2i services and the knowledge-base of Comstor, a broader range of customers can now experience all that unified collaboration has to offer - even if they have little or no experience." UCi2i is the world's first global, independent and vendor agnostic Video Managed Services Provider, headquartered in London and Hong Kong. Founded in 2009, UCi2i enables you to communicate face to face, through secure and high definition video, wherever you are. � Extrapolating information from last March until now, UCi2i will carry over 100,000 video minutes for the first time this month - a 357% rise since RAR was launched in July 2012. � In the 9 months since July 2012, UCi2i has carried over 0.5 million video minutes - more than a year's worth in real time. That's 50,000 video calls completed during that period. UCi2i, the global video conferencing managed services provider, is launching \"Video Ready,\" an all-in-one video calling and conferencing solution to provide businesses with an affordable, smart way to conduct business-quality, B2B, hassle-free video calling inside and outside of their organisation. The solution is being launched in partnership with Cisco Capital Finance and Comstor, Westcon Group's Cisco-dedicated business unit. London, United Kingdom, March 26, 2013 -- The service bundle includes choice of video endpoint, a three-year maintenance and support contract and UCi2i \"Connect\" video managed services plan, delivered with a fixed-priced, unlimited monthly subscription. Video Ready requires no on-site infrastructure, management, support or expertise - meaning significant cost reductions for companies requiring an affordable and reliable path to unrestricted, pervasive video collaboration. Michael Grant, Founder and Managing Director of UCi2i said: \"Businesses want the assurance that if they invest in video communications, the user experience is managed, measurable and sustainable. UCi2i's exists to make this simple, affordable and for everyone. This means being able to make and take video calls just like you would a phone call, whenever you want and wherever you are. And that's being Video Ready.\"
Bj�rn Skeens, Group Commercial Director at UCi2i adds, \"Since emerging as a nice to have, but somewhat unreliable, technology in the 1980s, video conferencing has come a long way. It has now got to the stage where businesses are either using it, planning it, or want it but can't have it because of a lack of budget or the in-house skills to manage it effectively. There's never really been the mechanism to be a mainstream, accessible anywhere, important part of the normal business processes, that is, until now. 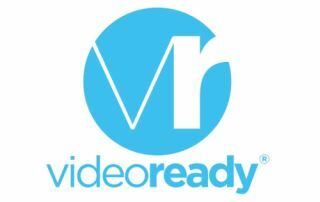 Video Ready makes video communications affordable for businesses of all sizes.\"
\"In today's challenging economic environment, businesses demand new ways to make collaboration easier and less expensive. For some time, UCi2i and Cisco have been at the forefront of video collaboration,\" said Andreas Dohmen, Executive Vice President EMEA, Comstor. 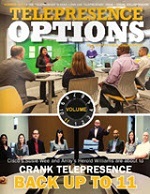 \"Fully supported by Comstor's market-leading technology expertise, Video Ready is the perfect answer for those wanting to leverage video collaboration, but don't have the technology expertise or deep financial resources to make it happen.\"
\"Cisco has steadily built a global reputation as one of the top providers of telepresence and communications platforms in the market today. Our technology helps customers around the world communicate more effectively and efficiently,\" said Philip Wright, director, partner operations sales EMEAR, Cisco. \"By combining our expertise with UCi2i services and the knowledge-base of Comstor, a broader range of customers can now experience all that unified collaboration has to offer - even if they have little or no experience.\"